Today we ask a few questions to a Japanese watch expert and Seiko guru. KIH is a Japanese collector and watch lover, he is a regular on the Japanese website Watch-Media-Online.com and a former moderator of a popular global discussion forum with long history. Now he has just joined the team of the new platform « Luxe178.com » and « AlphaLuxe.com », both of which interlink to each other. AlphaLuxe.com is a webzine with high quality articles and Luxe178 is the discussion forum to discuss including but not limited to AlphaLuxe contents. Very interestingly structured digital media. We wish him and the team a great success. You have probably already read some of KIH’s writings, including some amazing stuff on Seiko, like his interview with Grand Seiko legend Akira Ohira. Don’t be mistaken, KIH is not a watch journalist but he still travels the world to share his thoughts on what’s going on in watchmaking. He does it regardless of financial support and takes time on his super busy schedule to do so. Yes, he is the embodiment of passion ! Overall, KIH is a true « watch gentleman », his watch culture and appreciation for the finest things give him a great insight into the world of watchmaking. He is also a great reference in Japanese watches and Seiko holds a very special place for him. It’s always a great pleasure to discuss watches with him and this interview was another great occasion to exchange on various topics related to Seiko and vintage watches. But don’t let his humility fool you, KIH is a watch guru for a lot of us Seiko lovers out there ! Hello KIH and thank you for taking the time to answer our questions. Being a Japanese watch expert, I’m sure you have a different look on Seiko than us European collectors do. 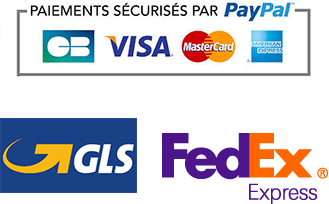 What do you think sets Seiko appart from European brands? Today’s watch making started in Europe for sure. Seiko started as a repair shop for the imported European pocket watches. 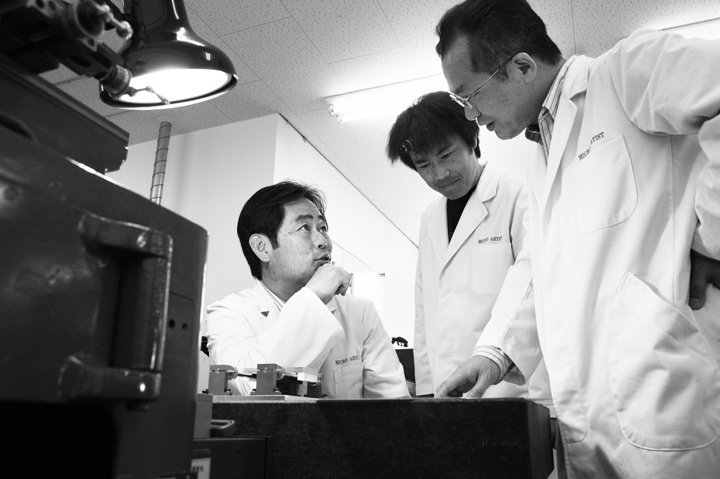 But as seen in many other areas, Seiko made its own innovation and achieved where it is today. I do not really think there are too many differences between European watches and Japanese. The watch works in the same principle. Perhaps approach or process may be different. Efficiency, perfectionism, attention to details, whatever you want to call it. Seiko as well as Citizen have become giant watch brands which makes from the tiniest screw to hair spring to case, dial, etc…. Yes, true manufacteur you would call today. The only reason is because they believe that it is more reliable and easier to find the source of fault, if any, if they make everything in-house. 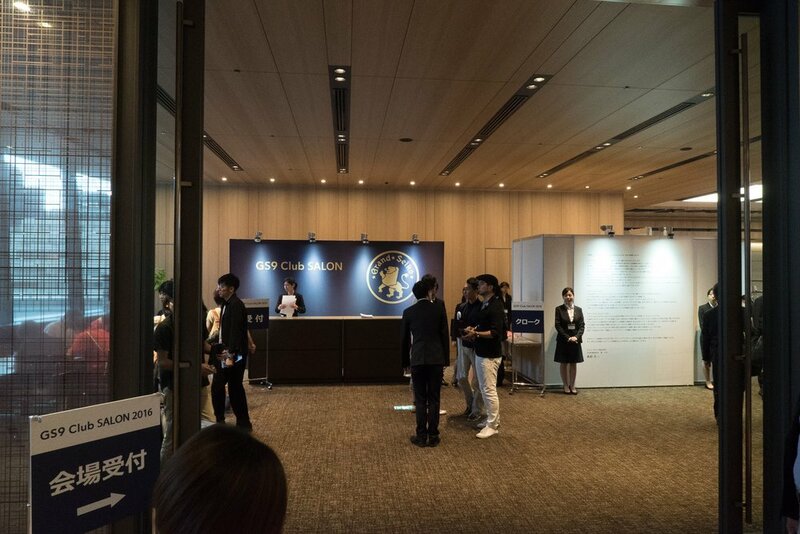 There are a few suppliers but those are mostly « majority-owned » by Seiko. 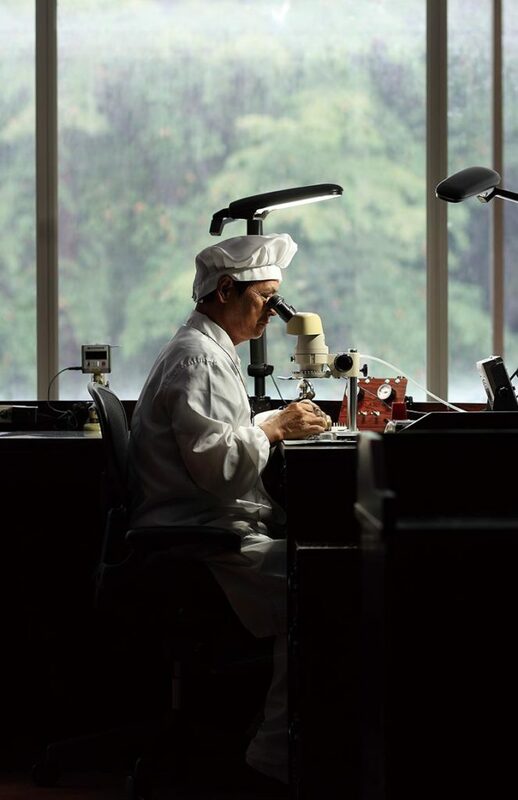 Controlling every single process of watchmaking, unlike car-making, would make it easier and perhaps cheaper with the experience and history they already have as watch manufacturers. Also, in Japan, watch/ clock are « home name » products. So, Seiko/ Citizen make from super low end products to high end ones. Bang for the bucks? Well, that may be because of the cheaper labor cost in Japan in comparison to the one in Switzerland. Japan is a country where lower labor cost does NOT mean low quality. People in these « craftsmanship » space do this with passion and they do not know when to quit in pursuit of, say, for example, accuracy, durability, user-friendliness, etc…..
You would notice the difference of the « feel » when you pull the crown, unscrew the crown to pull it, and when adjusting the time. Everything has perfect feel like « click », no jumping-hands, etc, while with some very popular European brand, which makes very nice and reliable watches by the way, the feel of such action is sometimes « ? » e.g. when you think you have pulled the crown, it was not and instead of time, the date changed, or screwing down or unscrewing up the crown is not as « sure » as Seiko’s…. So similar in principle, but so much difference in the process, mind, focus, and details. Japan is a very interesting place for watch lovers, with great books, great website (WatchMediaOnline of course), great magazines (Chronos, Low Beat…), a very interesting watch market and very knowledgeable collectors. How different is the watch community in Japan? Interestingly, we are all scattered around the country. Not many gathering is organized. Retailers are very strong in the business chain of watches. Normally, brands and owners do not contact directly. Well, retailers tend to be afraid of having their customers « stolen » by other retailers therefore, the brand event must be accompanied by the retailers sales rep who guards their clients from talking to other watch collectors – simply don’t want them to talk about how « good » their retailers are treating them (especially discount they get from each retailer). But that is finally changing very slowly. So, therefore, it has been difficult to know who are other collectors of certain brand or who are the other collectors and where. And that is what we wanted to change by creating Watch-Media-Online.com. Japanese people are so patient and they would wait for a month or two to get the reports of SIHH or major watch events, new products review IN JAPANESE. Just a language thing, maybe. Japan was/is the 2nd or 3rd largest markets in the world and the rest of the world know the news immediately in English, Japanese collectors had been soooo underserved, I must say. And there had never been such digital media. So, we are trying to « unite » the watch community in Japan more, in a good way so that the information flow, speed, be more at par with other parts of the world. Scattered community aside, Japanese people not only makes high quality products, but also use those products very carefully. So, it is natural there are so many very high-grade used or vintage watches here. And as a result or as a reason for such a careful use, the collectors study and accumulate knowledge by themselves because, again, there is no other way. Magazines were therefore almost only source of such information and knowledge. Now young people either get knowledge from digital arena or they don’t. It’s fashion today and you don’t need to know how your sweater was made by who. So, in a sense, Japanese watch community is getting westernized, whether it is good or bad. Reception at a GS9 event. Make sure you check Anthony Kable’s report. What is the perception of Seiko/Grand Seiko/Credor in this community? Well, thanks to the marketing by Seiko, many corporate executives or white collar workers at certain age used to believe that Credor is the goal. Just like « One day, Crown (Toyota’s flagship domestic luxury car in Japan) ». Majority of the older generation (than I am) just did not care whether it is mechanical or quartz. They chose watches by style and looks. 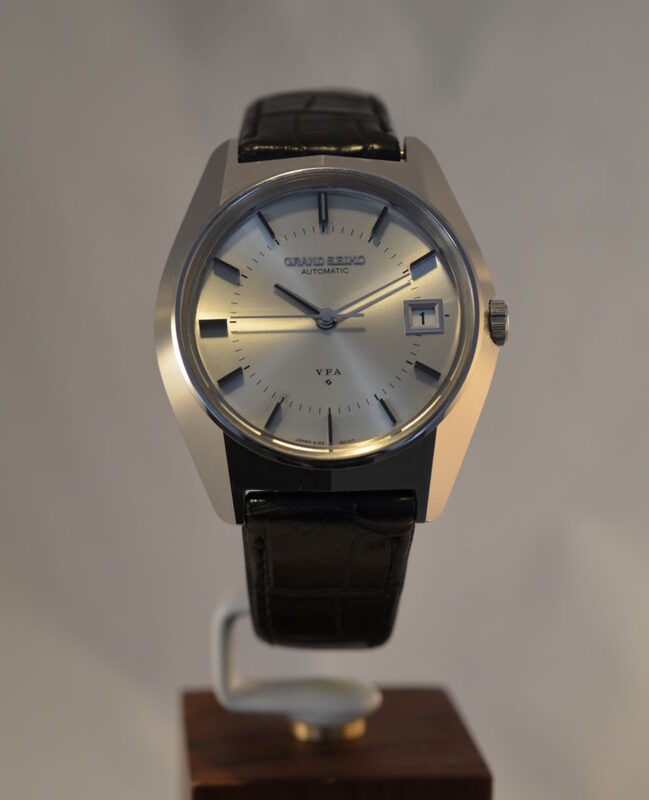 Grand Seiko has been out of the market back then when my father was wearing Credor and actually more than a few Credor – all quartz watches. « Seiko » was the name of the best clocks at home and best watches on your wrist. Now, back to the present time. 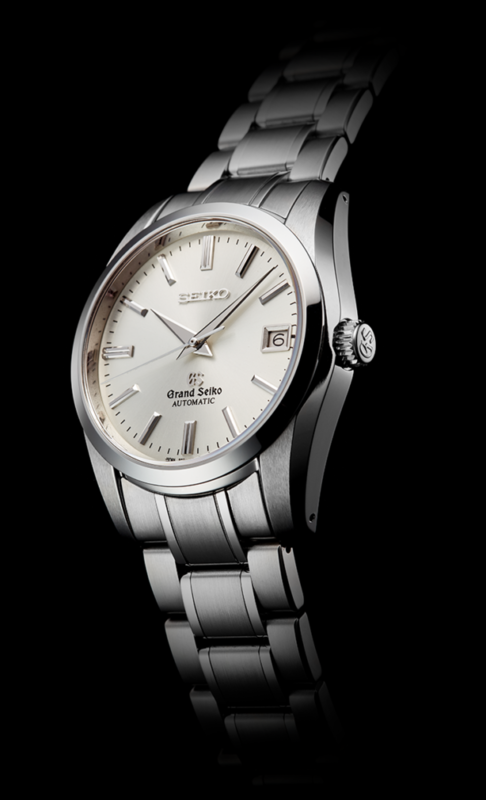 Grand Seiko is truly something Japan can be proud of in terms of cost/ performance ratio. Other Seiko are so cool. 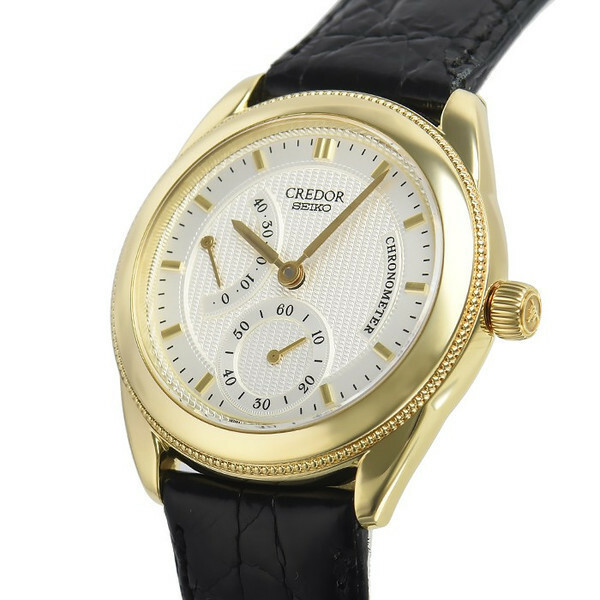 Credor – still dressy watch for men and women. Now Seiko has made it clear « Grand Seiko aims to be the BEST practical watch in the world, Credor aims to be the BEST dress watch in the world. » So the clientele of those two brands are separated like this. 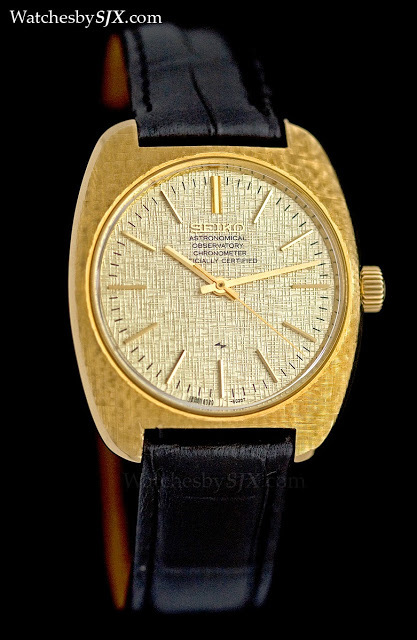 But then again, when the current models of Grand Seiko gets attention, its vintage pieces, before our time, got attention as well – back then there was no Credor, of course. We, watch lovers, are equally stunned by the accuracy of the 40-50 years old Grand Seiko. And that reinforced the perception that « Grand Seiko is made sooo well ». Whether it will continue to be so for a long time, is something we have to wait and see, though….. The environment surrounding Grand Seiko/ Seiko has changed a lot in the last few to several years, but that is the next question. Seiko has changed quite a bit in the last few years. Do you think a Japanese brand can appeal to occidental customers without losing its roots? I am sure there is a very clear and established concept of « what ‘Made in Japan’ means ». So, as long as Seiko sticks to that « meaning », they will succeed with a good storytelling about their past and future. Seiko’s history is a good story. It is not built on just a few years of watchmaking track record. The story of Observatory Chronometer is quite strong. Brand image of the watches are made by its reputation, and reputation is made by the quality, price, and service. Quality/ cost ratio is very good for now. What I am a bit worried is the expansion of the market. Seiko makes perhaps millions of watches a year and low to middle end products can do well in overseas. But high end Grand Seiko manufacturing capacity may not grow too fast. 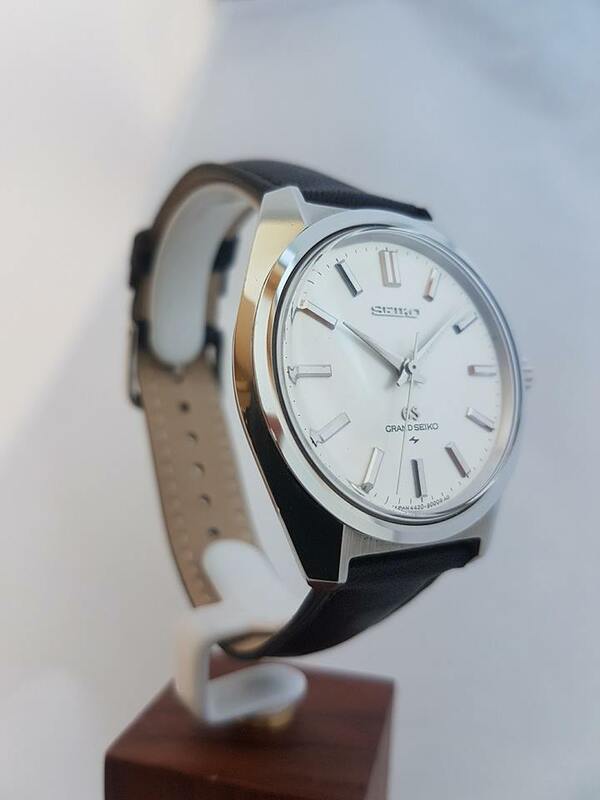 So, I think it is time to let the customer wait (meaning, wait from order to delivery) for low volume high quality Grand Seiko until the watchmakers grow up and manufacturing capacity is well within the limit. Making lots of Limited Editions with different dial color is not right strategy forever. The purpose of the Micro Artist Studio is to pass knowledge to the next generation of watchmakers. Let’s get a little bit more personal now if you don’t mind. How long have you been into watches? And do you remember what your first watch was? I have been doing this way for more than a decade, but I have loved watches since as long as I can remember. No, I was not a watch nut boy, but just like those gadgets – I am sure I could not care less whether it is quartz or mechanical. The first watch I was presented by parents was TAG Heuer, if I remember it right. Very small, kids version, of course quarts, all plastic. And when I dove into much deeper world more than a decade ago, the watch, a really expensive watch I bought was A. Lange & Sohne, perpetual calendar. It took me a while to appreciate Japanese watches and then I learned about how great the vintage Grand Seiko was at the Observatory Chronometer competition in 60s. That is astounding result in such a short period of time. As a result or not, they stopped Observatory Chronometer competition altogether. That was a great time for Japanese manufacturing…. In your collection, is there a watch that has a special meaning to you? There are a lot in my collection box. But the one I would never, ever let go is perhaps Grand Seiko 61 VFA (circa 71), which was adjusted by a good friend of mine who is still working (now an instructor for the watchmakers at Seiko customer service center around the world) and it is running less than +/- 1 second per day. That, I will not give up. Also equally important are what my father left. He had several – Seiko, Credor, Benrus, Omega….. I had all of them serviced and I sometimes wear them at special occasions, e.g. going out with ever so shrinking family of mine. Other modern ones. I always try to find the special meanings when I buy watches these days. So, for now, all of them each has special meaning 🙂 Maybe just an excuse to myself to increase the collection…. What is your favorite vintage Seiko and why? Oh, VFA? But I have already said that. Other than that, 44GS is very special and my top favorite all time. So hard to find today, I hear. You must be buying up all the goodys from Japanese used watch shops, aren’t you? 🙂 Kidding. 44GS is not hi-beat, but has long-established GS case, and NO DATE, manual winding. Very, very nicely done watch overall. If you see one, don’t think, but just buy it before it’s gone! 57GS is something special, too. It’s the 2nd GS, some were called 43999 and then it was re-named to 57GS. Maybe that model is about the same age as I am. But it is a great GS, too. On the other hand, the first GS is not my favorite…. Honestly, I am not a gold color metal guy. That may be the reason, haha. And finally, what would your advice be to someone just getting started in the world of vintage watches? Vintage watches are very difficult animal. It is like religion. There are some people who are very strict. For example, restoring is absolutely « no » for those people. Even if the brand re-makes the dial, for example, then the « value (I don’t know what value these people always talk about) » becomes zero. If it is the « spare parts » made in the similar era, then it is not zero, but decreases value nonetheless. I honestly do not understand those people. I wonder what they think about the extremely old pocket watches which require some very skilful watchmaker to create new parts to work again…. like the clock tower restoration, museum pieces, etc…. So, the line between « great condition vintage » and « restored to work like new » is very fine/ thin or even blurry. All I can say is when you see one at a shop, it’s gamble. You buy it, have it opened by the brand or authorized watchmaker to verify it is genuine. There are lots of Frankenstein watches. And I am pretty sure those « cultish » vintage people’s watch collection box have one or two Frankensteins. As with some other brands, Seiko now does service old Grand Seiko, so bring it in, have it serviced, and then you get the genuine vintage GS, regardless they replace some parts with the modern ones (but if they no longer have parts, they just tell you so and the watch is returned without being repaired). Always trust the brands, not the vintage shop or self-acclaimed « vintage guru ». As for me, I love vintage watches and have them all serviced or restored so that I can wear it. I cannot keep the watch dial dirty forever and keep it in the collection box. Watches are, vintage or modern, there to be worn. That’s the key. Just don’t buy watches to wait for « value » appreciation or pretentiously « keep for the next generation »…. Believe me, whatever needs to be in the museum or passed down to the next generation are already kept by the brand. So, if you buy one, have it serviced and wear it in good health. You and watch would be both very happy. Oh, and lastly, please don’t ask me where to buy or find xxxx. You guys know a lot better than I do (from the net), and those stocks in each shop goes so quickly. Just visit the usual suspects when or if you visit Japan. You may find a big fish if you are lucky. But chances are there are more good condition vintages overseas than in Japan as they have been bought in tremendous quantity out from Japan….. Thank you again KIH for this very pleasant discussion, until next time !